Required stair width is determined by the required egress capacity of each floor the stair serves, considered independently. It is not necessary to accumulate occupant loads from floor to floor to determine stair width. Each story or floor level is considered separately when calculating the occupant load to be served by the means of egress from that floor. 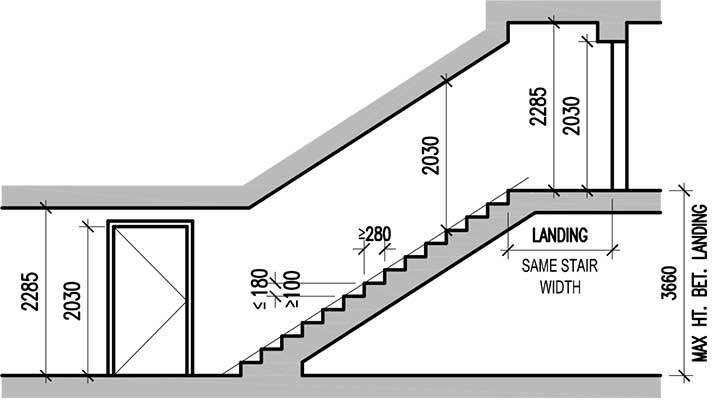 The size or width of the stair need only accommodate the portion of the floor’s occupant load assigned to that stair. 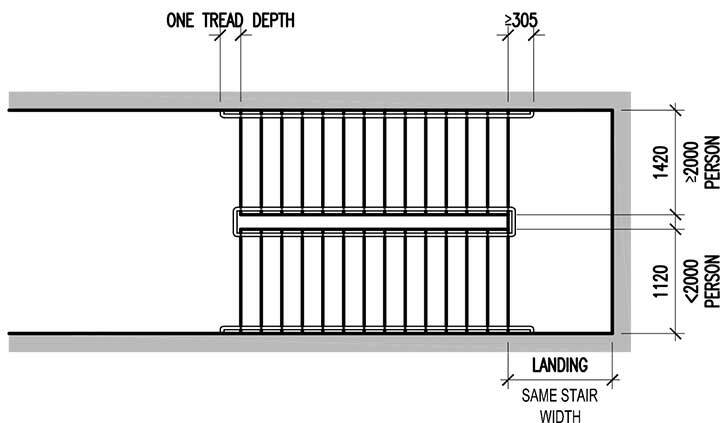 However, in a multistory building, the floor requiring the greatest egress capacity dictates the minimum stair width from that floor to the level of exit discharge in the direction of egress travel. (C) The total cumulative occupant load assigned to a particular stair shall be that stair’s prorated share of the total occupant load, as stipulated in 7.2.2.2.1.2(D) and 7.2.2.2.1.2(E), calculated in proportion to the stair width. (D) For downward egress travel, stair width shall be based on the total number of occupants from stories above the level where the width is measured. (E) For upward egress travel, stair width shall be based on the total number of occupants from stories below the level where the width is measured. (F) The clear width of door openings discharging from stairways required to be a minimum of 56 in. (1420 mm) wide in accordance with 7.2.2.2.1.2(B) shall be in accordance with 7.2.1.2.3.2(9).